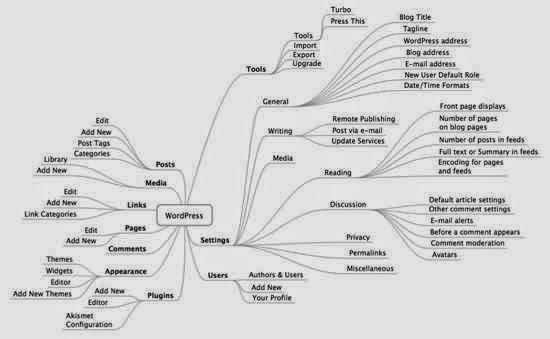 The following is a description of the general site architecture for WordPress v1.5. WordPress Theme authors are encouraged to maintain much of the core site architecture of XHTML tags and CSS selectors, but they are not required to. Therefore, this is just a general outline and your Theme may be different. We've specified which CSS selectors belong in which template files as much as possible in the following architecture specifications. These are the main containers in which the most important parts of the page are "contained". Remember, the core structure is like building blocks. They are dependent upon each other. If you change one, you have to change the others. While one calls their sidebar sidebar and the other menu, the main difference between the two Theme's core structures is the use of the header and footer. For the Classic Theme, the header is in an h1 tag and the footer is in a paragraph tag. In the Default Theme, the header is in a div called header and the footer is in the footer div. Some Themes may add a second, third, or even fourth sidebar, creating a column effect. Or they may include additional wrappers around the entire page or specific containers, but this is the core structure. Content - index.php, single.php, page.php, category.php, author.php, search.php, etc. As you can see, the content container can be found across many other template files. These are generated dependent upon the user's request. If they click on a category, the category template is displayed. If they choose a Page, the page template is used. And so on. Combined with the WordPress Loop and queries, a variety of templates can be generated, and the web page designer can style all of these differently and independently from each other. Within these core structural containers are smaller building blocks that hold the specific content within the parent container. WordPress Themes can feature a variety of these, but we are going to concentrate on the two Themes that come with WordPress. Most WordPress Themes are based on these two Themes. While the styles for the Classic Theme are found within the Theme's style.css style sheet file, styles for the Default Theme are found within the style.css and the <head> of the header.php template file. Working with these styles is extensively covered in Designing Headers. The Classic Theme hosts containers for the Date, Title, Post Meta Data, Post Content, and Feedback (number of comments). It also showcases a powerful feature. The ability to individually style a single post's look. The use of the template tag the_ID() generates the ID number of the post. This provides a unique identifier for internal page links as well as for styles. This post could have a style for post-1, as could post-2. While it is a bit excessive to feature a style for every post, there may be a post or two you need to have look a little different. Some plugins may use this identifier to automatically change the look of different posts, too. There is a lot going on here. Let's break it down. In the multi-post views, it features a class="narrowcolumn" and in the single post views, it features class="widecolumn" and the sidebar is not generated on that page, allowing the post to be viewed "wide" across the width of the content area. Like the Classic Theme, this division sets up the style for post and the identifier for post-X, with X representing the post's unique ID number. This allows for customizing the specific post's look. This encompasses the post's title code, styled by the <h2> tag. The date code is surrounded and styled by the small tag. The post content is styled by a combination of the styles within the entry CSS selectors and the paragraph tag. The Post Meta Data Section contains the data details about the post such as the date, time, and categories the post belongs to. The Next and Previous Links are styled in the navigation. They also include classes for alignleft for the Previous Post and alignright for the Next Post in chronological order. The widecolumn class is featured to stretch the content across the page to fill in the absence of the sidebar. The navigation has been moved up to the top. And the Post Meta Data is now incorporated into the entrytext parent container and styled differently with an alt style added. These two examples from the Default Theme give you just a glimpse into the myriad ways your WordPress site can be customized. While individual sections of the comments feature styling reference, the Classic Theme has no general comment division or group style reference, one could be easily added. Comments are given a unique ID number, signified here by the letter n. This allows them to be styled individually. This begins the ordered list of the comments, counting down from one, and sets the overall style of the comments list. Style reference for each comment on the list. This paragraph tag styles the actual comments on the comment list. This use of the cite controls the look of the commenter's name. It usually states "Name says:" in the comments list. The h2 heading can be styled two ways, as #comments h2 or #postcomment. The latter is used by the "Leave a Comment" link from the top of the comments section, too. Style reference for the overall "form" for inputting comments. Each input area has it's own ID. ID reference for the comment author's input area. The <small> tag is used in several places in the Classic Theme. This usage surrounds the text in the comment submit form and the text for the list of tags that can be used in the comment. ID reference for the comment author's email. ID reference for the comment author's URL. ID reference for the comment input textarea. It does not style the final generated comment, just the input box. There are two submit buttons in the Classic Theme, for search and comment submissions. This is the submit comment button. The Default Theme comments feature a loop query within the comments.php and comments-popup.php which changes some of the information depending upon if comments are open, closed, and any present. If the comments are open or closed and no comments have been made, this information will be displayed within the <h3 id="comments"> tag. While individual sections of the comments feature styling reference, the Default Theme has no general comment division or group style reference, though one could be easily added. Styles the <h3> tag for the "number of responses to the post" heading. Styles the "ordered list" of the comments list. The comment list items have two style references. The first one is the class alt and the second is the comment ID number signified here by the letter n. This allows them to be styled individually. The tag cite frames the "Name says:" and link to the comment author's URL. The <small> tag has a class of commentmetadata which allows the date and time of the post to be styled. Styles the paragraph within the ordered list of comments. Styles the heading for "Leave a Reply". The <small> tag is used in several places in the Classic Theme. This usage surrounds the text in the comment submit form and the text for the list of tags' that can be used in the comment. The Classic and Default Themes' comments-popup.php template file is essentially the same. They use the layout for the Classic Theme comment structure. While the Classic Theme uses <h2> headings and the Default Theme uses <h3> headings for the title headings in their comments, in the comments-popup.php template file, they both use the <h2> heading tag. The body tag sets the style for the overall page with #commentspopup. The h2 heading begins the comments section. If you make modifications to the structure of the tags within the header and footer of the overall Theme, ensure those structural changes are applied to the comments popup template, especially if you will be releasing the Theme to the public. As you saw with the Default Theme, the sidebar can be visible or not, depending upon the template file in use. The sidebar, in general, can be simple or complex. 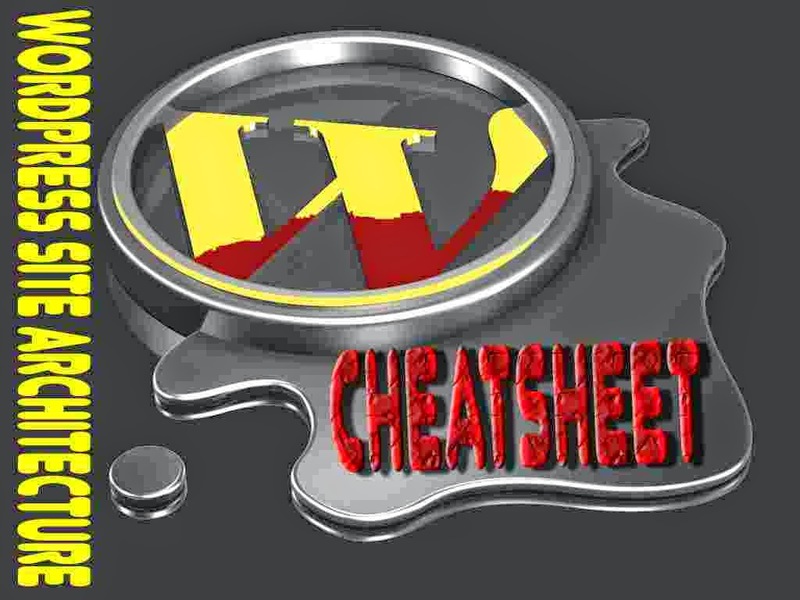 WordPress Themes often feature information within the sidebar in nested lists. There is a step-by-step guide for the sidebar at Customizing Your Sidebar and more information on Styling Lists with CSS, too. Most of these are self-explanatory. Each set of links has its own CSS selector: Pages, categories, archives, search, and meta. The Pages and Links category, labeled "Blogroll", uses the <?php get_links_list(); ?> and <?php wp_list_pages(); ?> template tags which automatically generates a heading. For the Links category, it generates an h2 heading for that set of links. This means you can style the menu h2 heading to look differently from the rest of the headings, or, if you want them to all look the same, make sure that the menu h2 style matches the rest of the category styles which are not automatically generated. The Pages template tag generates pagenav as the heading and then identifies the pages in a new way. As a general list viewed on multi-post and single post views, the Page list items feature a class="page_item" to style those links. When viewing an individual Page, that Page's link will change to class="current_page_item", which can then be styled to look differently from the rest of the Page links. The other sidebar section titles, categories, archives, meta, and others, do not use template tags which generate their own titles. These are set inside of PHP statements which "print" the text on the page. While these could be put inside of heading tags, WordPress uses the _e() function to display or "echo" the text titles while also marking the text as a possible target for language translation. If you will be developing your theme for public release, using the echo functions is highly recommended. You can style these individually or all the same. Some Themes, like the Default Theme, put all these in <h2> headings so the list headings will all look the same. Therefore, they may or may not use style references for each section. You may add them if you need them to change the look of each section of links. The search form is found within the searchform.php. It may be found in different locations within the sidebar. To style the overall search form, use the search ID. Here is a list of the individual areas of the search form which may be styled by default. You may add style classes to gain more control over the look of your search form. The overall style for the search form. Used to style the label tag, if necessary. Used to style the form itself. This unlabeled div is a child container of the parent container search and maybe styled from within that selector. To style the input area for the search, this selector combination will work. Used by the Default Theme, this selector may be used to style the search or submit button. The search form area, input, and button can be styled in many ways, or left with the default input and "button" look. The Meta links may be shown as text or icons representing the various links. The XHTML and CSS validation links may use the W3 icons. The various Feeds can also be represented as icons. Or left as text. It's up to you. Use of the feeds within your sidebar with text or icons is covered by the article WordPress Feeds. The footer is found within the footer.php template file. In both the Default and Classic Themes, the footer contains little information. The footer's content is styled with the credit class and the paragraph and cite tags. <!--<?php echo $wpdb->num_queries; ?> queries.